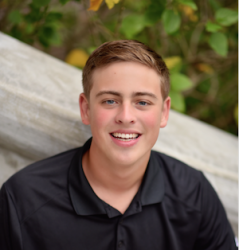 Nate is an undergraduate student from Tampa, FL majoring in Biomedical Engineering. He is co-mentored by Dr. Chilkoti (BME) and Dr. Franklin (ECE). His research interests include developing fully-printed electronic biosensors and printed biomaterials. Outside of the lab, he enjoys reading, listening to music, and watching Netflix.